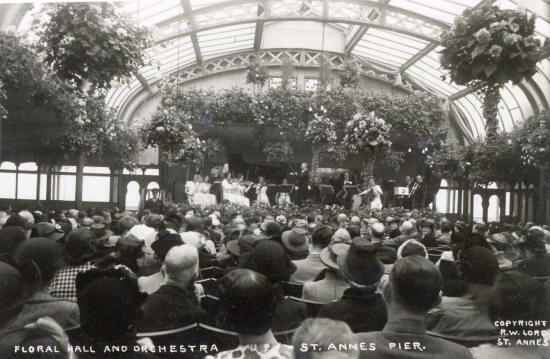 The Floral Hall in the 1930s. The Floral Hall opened in 1910. The Pier Orchestra performed here each summer season.